To make great tasting meals, you need to have a lot of love.Love enough to select your ingredients carefully.Love for the warm glow of the stove as things start to heat up.Love for the people you’re feeding, so they can taste in every bite how much you care. To make great tasting meals, you really have to love everything about food.And we do.We love food the way you love food. Flavor.It’s the difference between a decent dish and mouth-watering meal;every forkful should be exceptional. That’s why we go to extraordinary lengths in pursuit of great flavor, because we know it means a tastier meal for you and your family. And to get the best flavor, you need the best ingredients. We go to great lengths to ensure the vegetables we use are packed with flavor. In fact, we have thousands of farms across the world nurturing produce exclusively for Knorr®;therefore, we get the pick of the crop. Sometimes, we go further to source rare ingredients, like the sweet, smoky Espelette chilies from the Basque country in the Pyrenées. Using their instinct and expertise,our 286 chefs take these beautiful ingredients and skillfully develop exciting recipes.They’re a creative bunch, professionally trained to the highest standard, and vastly experienced thanks to time spent in real kitchens – many of them in highly awarded restaurants. Each finds inspiration in experiences old and new,and from other cultures too. 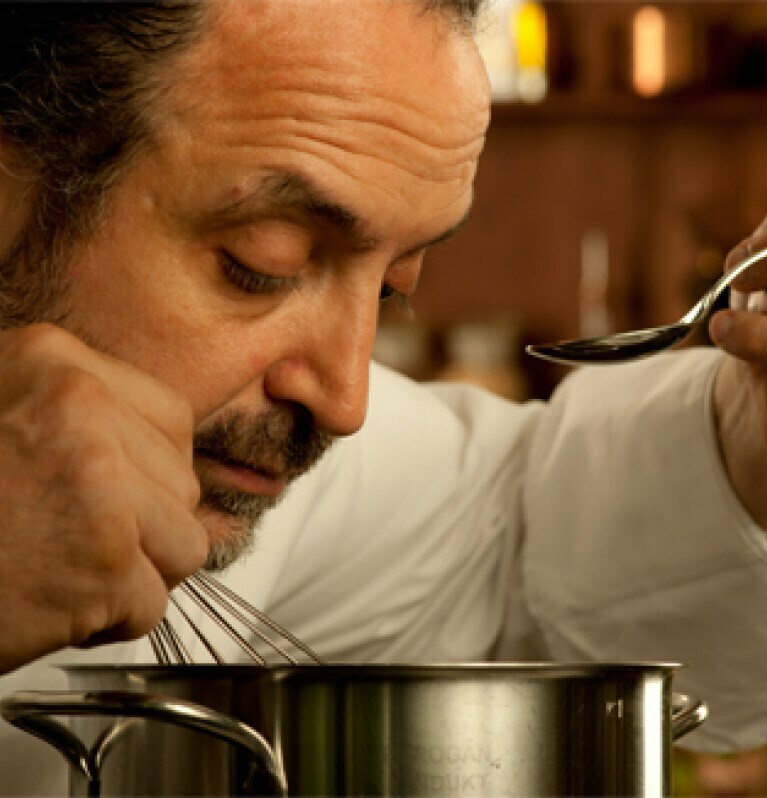 Take Luigi Carola – he’s visited 67 countries in search of new ideas, and each intrepid journey has influenced his cooking, stoking the fire in his belly and growing his love for food. Then there’s John Doyle, a proud Irishman whose Irish roots influence his cooking; who knows how to create interesting takes on tasty, traditional recipes, that have all the flair and flavor you want in the meals you make at home. Extraordinary lengths.Two important words we use to describe how we make delicious food. Two words that mean always going the extra mile, not accepting mediocrity, never giving up – an attitude shared by everyone at Knorr®, from our hard-working farmers to our dedicated chefs.That’s why we’re always looking for new ways to satisfy your curiosity and your hunger to put different dishes on the table. We bring flavors from around the world to our kitchen and create recipes you can serve up at home, with all the authentic tastes of other cultures made easy to recreate in the comfort of your own kitchen. Not only that, we’re working hard to make our impact on the planet as small as possible – and yours, too.We’re implementing sustainable farming processes, working to reduce and recycle the packaging we use, cutting back on our greenhouse gas emissions, and increasing our focus on nutrition.All of this is better for the environment, which means better food for you. We know how you value good, nutritious,flavorful food, and authentic home cooking.It feels good to cook and even better to bring pleasure to the ones you love, through the food you put on the table. Therefore, rest assured; whether you’re a seasoned chef or casual cook, Knorr® will be your cooking partner. A little help we’re delighted to give.